The Brewers are just a few days away from their last home stand of the month. It's been a tough spring for our Brew Crew, but they seemed to have gotten back to playing better baseball in the past ten games. The Reds took two of three before Milwaukee enjoyed a day off, but the Brewers have won six of ten as of late. The team will start a three game series against the Astros, then they come home to play the Braves on June 21. Be sure to check out our Brewers tickets for the Polish Bobblehead Game on June 23. The team will enjoy a day off on June 24, then they face the Chicago Cubs at Miller Park, starting on 6/25. Included in the three game series against the Cubs will be a rare Thursday afternoon game. 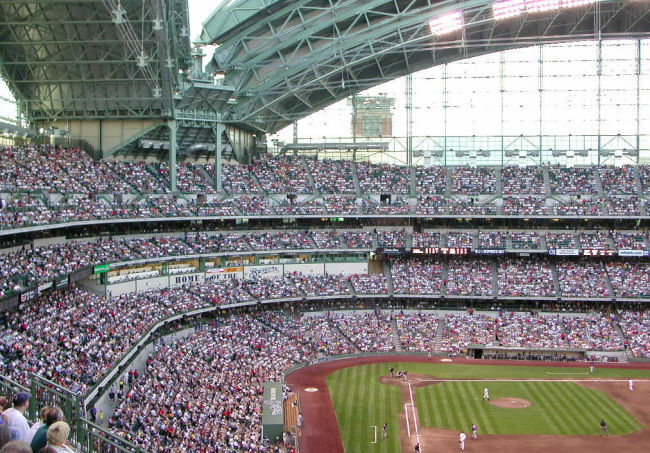 Will Chicago Cubs fans make the trip up to Milwaukee? They always do.